I would appear I’m turning all romantic. I had an urge to bake Mr C a chocolate cake earlier in the week and thought I may as well make it into a Valentine’s cake while I was there. I’ve been having a potter through my cake tins and discovered loads that I had forgotten about. I’ve got every size of heart and hexagon cake tins that you could ever wish for. There really are no secrets about this cake – Its a good quality chocolate cake that is rich and very versatile. If you are looking for a chocolate recipe cake suitable for carving or stacking, this is ideal. Not too light that it will crumble instantly but not too heavy either. I use really good quality chocolate and about an even mix of dark and milk chocolate – Its completely up to you though, if only adults are going to eat this, then you might want to opt for more dark chocolate. Easy Chocolate Sponge Cake with a Fresh Cream Chocolate Ganache - Perfect for any celebration! Ooohhhh….. Looks delicious and sounds rich and decadent….. Yes please!! Not only is this beautiful and romantic, it looks utterly delicious. Happy Valentine’s Day! My little bro is obsessed with chocolate anything!! 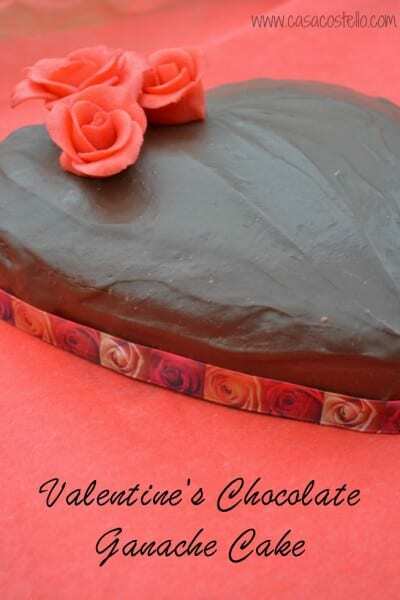 This is such a good idea for Valentine’s Day – I may just have to try my hand at making it for him 🙂 It looks delish!! 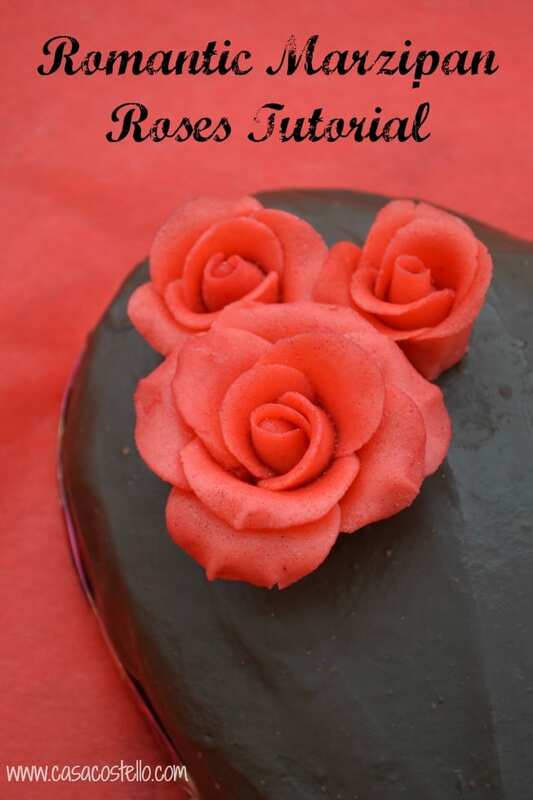 I am so impressed by the beautiful fondant flowers! This is the cutest! Mr C is very spoilt indeed, I am very impressed by your fondant work! My attempts at baking a cake decorating are dismal. This looks yummy, I love chocolate cake! and your flower making skill is awesome! I have to confess that I’m not much of a chocolate fan. On the other hand marzipan roses I LOVE! This looks gorgeous Helen, my husband would love to receive that! (So would I!) I love your roses too, they look so delicate. I love how simple this recipe is! 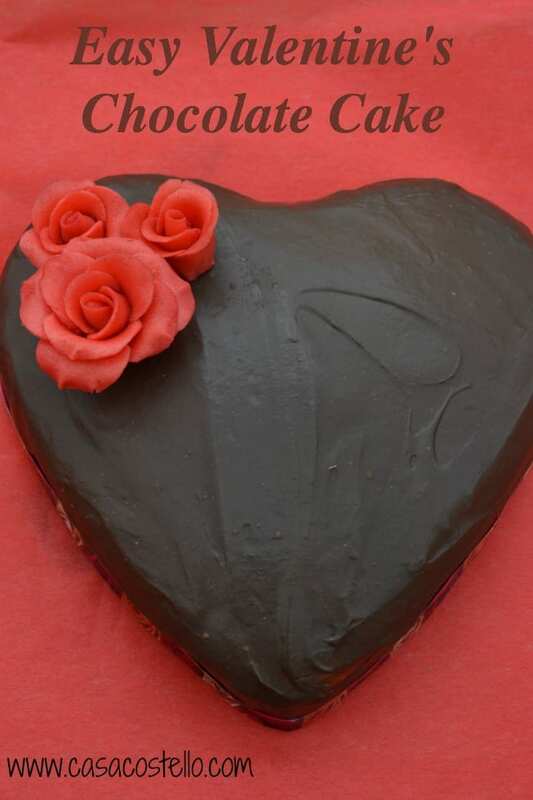 Come on Valentine (or secret admirer), I need this cake!